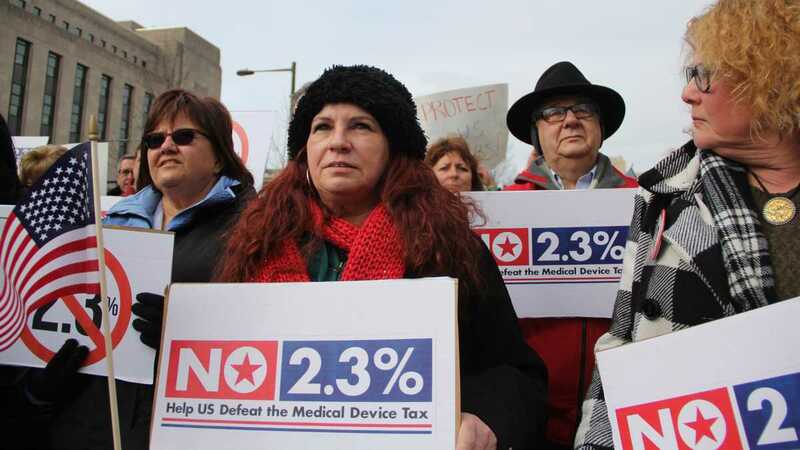 If Congress is determined repeal this tax, Members should demand something from the medical device industry to improve the health care system as an alternative form of shared responsibility. It’s this – Congress should ban the practice common among medical device makers requiring that hospitals never disclose to anyone how much they pay for the devices they purchase, especially implantable medical devices such as hip and knee implants, coronary drug eluting stents, and pacemakers. The price secrecy clauses written into contracts forbid hospitals even telling their own surgeons the costs they incur and pass onto patients. The device industry provides price breaks on their device sale contracts with hospitals in exchange for these so-called “gag rules” that make it impossible for purchasers to compare prices and negotiate knowledgably with sellers. A 2012 study from the Government Accountability Office found “substantial variation” in the prices paid by hospitals across the country for the same devices – with smaller and rural hospitals paying the highest amounts. Even big urban hospitals with the most patients sometimes pay for their ignorance and gullibility. Medical device companies have proven themselves ready to sue hospitals and others based on pricing secrecy violations. Because of close relationships between device makers and individual surgeons, hospitals often find themselves pressured to agree to higher prices or risk losing the services of physicians who deliver surgical patients to their facilities. Imagine you were seeking to buy a new car or television and unable to find any price information. Then imagine the salesman declaring that you’re getting the best price – and that you’d get an even lower price if you signed a contract promising never to reveal the price to anyone. Welcome to world of medical device pricing. The ACA is moving the US health system away from an inefficient and wasteful fee-for-service financing and toward transparency, accountability, and paying for value and outcomes, putting special pressures on hospitals. These challenges are made more difficult and unfair in an environment in which pricing secrecy limits the ability of hospitals to negotiate fairly. In 2007, Senator Charles Grassley (R-IA) sponsored the “Transparency in Medical Device Pricing Act” that would have required device makers to disclose their prices to the U.S. Department of Health and Human Services for public release. Unfortunately, he dropped the legislation after one session. Now Senator Angus King (I-ME) is declaring his intention to amend any repeal of the ACA’s medical device tax by including medical device pricing transparency. I suspect, given a choice between linking device tax repeal with pricing transparency or passing nothing at all, the U.S. medical device industry would opt for nothing at all. In our new health care environment, we hear lots of lip service paid to transparency and accountability. Let’s put it to the test and see what happens.